Evidence-based interventions benefit learners only when they are implemented fully. Yet many educators struggle with successful implementation. This unique book gives practitioners a research-based framework for working with PreK–12 educators to support the effective delivery of academic, behavioral, and social–emotional interventions. 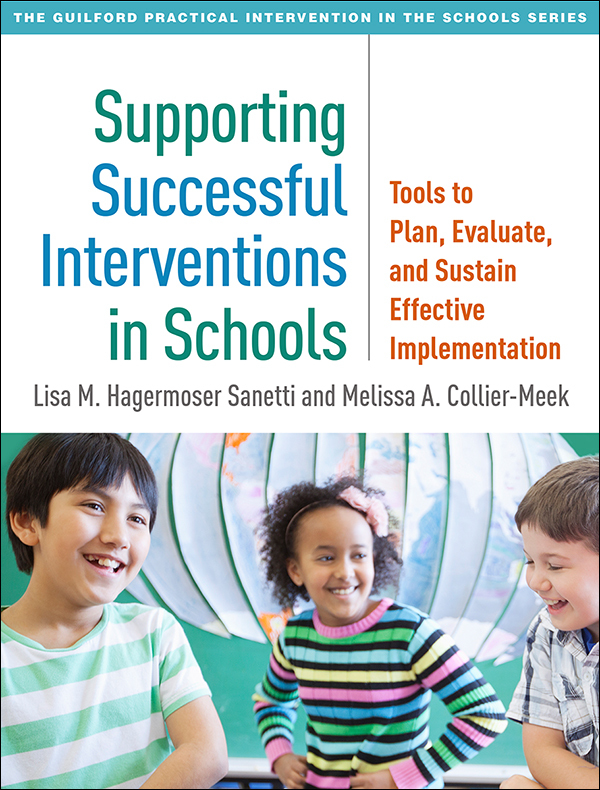 Step-by-step procedures are presented for assessing existing implementation efforts and using a menu of support strategies to promote intervention fidelity. In a large-size format with lay-flat binding for easy photocopying, the book includes 28 reproducible worksheets, strategy guides, and fidelity assessment tools. Purchasers get access to a Web page where they can download and print the reproducible materials.